25 Years Expierence in construction and remodeling in the Bloomington and Normal, Illinois area. 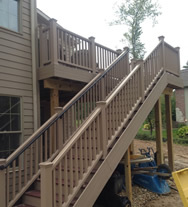 Mark specializes in deck and pergola building, as well as remodeling of basements, baths, and kitchen. 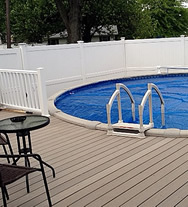 Ruestman Construction builds custom decks using cedar, treated and composite lumber. Our decks meet and exceed any code requirments. 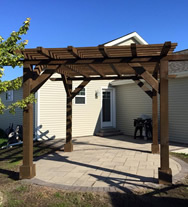 Interested in a custom pergola? Ruestman construction specializes in cutom pergola installation and design. Pergolas can be installed on existing patios or decks. 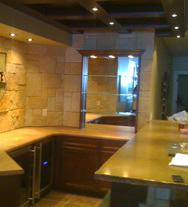 Ruestman Construction offers remodel services. We serve the Bloomington-Normal, Peoria and Champaign Area. Our remodeling services cover the entire house, including basements, bathrooms and kitchens. Enjoy some pictures of our completed projects. Feel free to send us your own pictures. Ruestman Construction provides services ranging from home construction to small window or door installs. Feel free to visit our contact page and fill out form to get in touch with us about your project.